Renting a vacation home is a great alternative to a hotel. You usually get more space, privacy and a full kitchen – often in an exceptional location. If you are ready to venture into renting a vacation home instead of the traditional hotel, here are 10 tips to help you find vacation rental homes that meet your family’s needs. You can waste hours looking at vacation rentals online, so prioritize and focus your search. Limit your search by number of bedrooms, cost, location, etc. Do you want oceanfront property? A dock on a lake? Swimming pool? Are you bringing a pet? Limit your search options to optimize your time as you find vacation rentals. 2. Look closely at the pictures. As you find vacation rental homes online, look for details in the pictures that give you a feel for the quality of the home. I like to look specifically at the appliances in the kitchen and the style of the kitchen countertops. Both those things are easy to view in a picture and give you a pretty clear indication of the age and condition of the home. If the kitchen looks run-down, you can expect the rest of the home will show similar age. Take a minute to look at the satellite views and 360 views available on Google and other map sites. You will have a much clearer picture of what the owner means by “beach-front property” if you can see for yourself what the surroundings look like. If you are renting a home in a city, you can look up and down neighboring streets to make sure you are comfortable with the location. 4. Talk to a person. Test how quickly your needs will be taken care of in your vacation rental home by seeing how long it takes the owner or property management company to return your call or email. A quick response time is a good indicator of good customer service. You will sometimes pay a bit more to rent through a property management company instead of directly through the owner, which has its pluses and minuses. After speaking with the person renting the home you can decide if you are comfortable renting directly from the owner or if you would prefer to work with a property management company instead. If you are renting from the owner, take advantage of their local knowledge and ask about the home, things to do in the area, recommendations for restaurants, distance from your vacation destinations, etc. Plenty of space to spread out in these vacation rental homes near Deep Creek Lake, Maryland. 5. Ask questions about amenities. Is the swimming pool open year round? Do you have to pay extra to heat it in the winter months? Is the grill gas or charcoal? How often is the hot tub serviced and chlorine levels checked? Be aware of hidden charges and take time to read the fine print. Is there a cleaning fee or is it rolled into the cost of the rental? Are linens included? Some rental homes include linens, others make them available for a linen fee, and a few expect you to bring your own. Unlike hotel rooms, there are usually stiff cancellation fees for last-minute cancellations, so make sure you understand the cancellation policy. A hefty deposit is usually required within a week of making a reservation, and the balance is usually due 30 days before your vacation, but again, read the fine print. A rustic mountain cabin in Broken Bow, Oklahoma. The best reviews come from other renters, and many homes on major websites have reviews with good detail and information. Take time to read reviews and you will often glean other helpful trip information such as a favorite restaurant nearby or how to use local transportation. Since there is a limited availability of vacation rental homes, I prefer to book as early as possible, particularly if I am looking for a large home for several families. Most vacation rental homes allow you to book 12 months in advance. Many people book vacation homes about four months in advance, but it depends a lot on the demand at your destination. If demand is not high and you are willing to be flexible, you can wait until two weeks before your vacation and look for discounted rates. Many vacation homes drop their prices for weeks they are not booked during “high season.” You may be able to save a few bucks, but your choices will be limited to what is available. I usually book large vacation homes 6-9 months in advance and find that most homes are available for the dates I want. Some homes are pet-friendly, and some are not. If you want to bring a pet or if you have a pet allergy, be sure to ask the question so you aren’t met with any surprises. There is often a surcharge for bringing a pet. If your destination is a popular vacation rental location, there is likely a realty company that manages many properties in the area. When I wanted a home close to Wisp ski resort in Maryland, I called Railey Mountain Lake Vacations and their helpful agent quickly directed me to three homes that fit my budget and room requirements. I found the vacation rental I wanted in less than 20 minutes of online effort. There are hundreds of websites to find vacation rental homes. Here are a few of my favorites to get you started. Thanks for all the great tips! Now I have a couple new sites I didn’t know about before. Thanks for posting. We just tried our first vacation home rental this past year in Hawaii. It was a great experience and my new favourite way to vacation. Thanks for sharing your tips. The hot tub questions are really a great idea – we used to be so thrilled whenever a hot tub was included at a vacation rental, but now I’m a lot more concerned about the maintenance! Thanks for your comment, Shelly. We learned the hard way to ask about hot tub maintanence after my daughter and I got “hot tub rash” after using a rental home hot tub. Most I have found are propertly maintained, but a few aren’t and I don’t want to get in one that isn’t after my itchy experience! 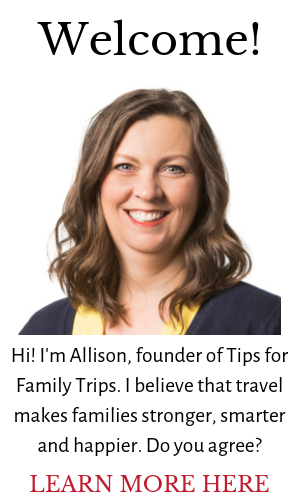 Thanks for this advice for finding a vacation rental. I’m glad you mentioned that you should pay attention to how long it takes for the owner or company returns your calls or emails because quick response can show they have good customer service. This also seems important to look for so you can have a better idea of how quickly they could respond to your needs in the future, especially if there’s an emergency on the property. My wife and I have been thinking about renting a house for a vacation. I agree that it is important to look at the age of the appliances for the quality of the room. This will help to make you understand what the age of the house is.